There seems to be a plethora of options being floated for schools' reorganization in Whitchurch, with news of a fifth option in the South Wales Echo today. 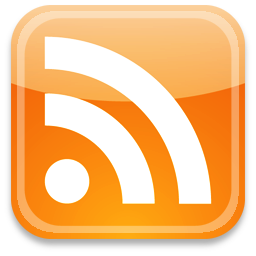 I contributed to the debate on the WalesOnline forum in its earlier stages, but think that it may well be appropriate to comment again on the more recent developments. My major concern is that Cardiff ends up with a scheme that respects the wishes of parents wanting both English and Welsh-medium education for their children, rather than pitting one group against the other. It is a matter of great sadness that some people want to turn this into an acrimonious battle. My starting point is the current situation on the site shared by the English-medium Eglwys Wen Primary (EW) and Welsh-medium Ysgol Melin Gruffydd (MG). As we can see from the picture (click to enlarge it) the original building is much too small to accommodate both schools. There is a huge number of temporary classrooms—thirteen, including the doubles—which between them probably house enough pupils to fill a 1.5FE school. Therefore the first necessity is that these classrooms are replaced by permanent accommodation. The question is only where this accommodation should be. The "fifth option" presented last night suggests that this should be somewhere on the site ... which would essentially mean building a new school of roughly the same size as the original on a tight site that can only be entered from one corner. There wouldn't be much open space left for play and outdoor teaching for one school, let alone two. So in my opinion, it would be better to do the new building that is required somewhere else. 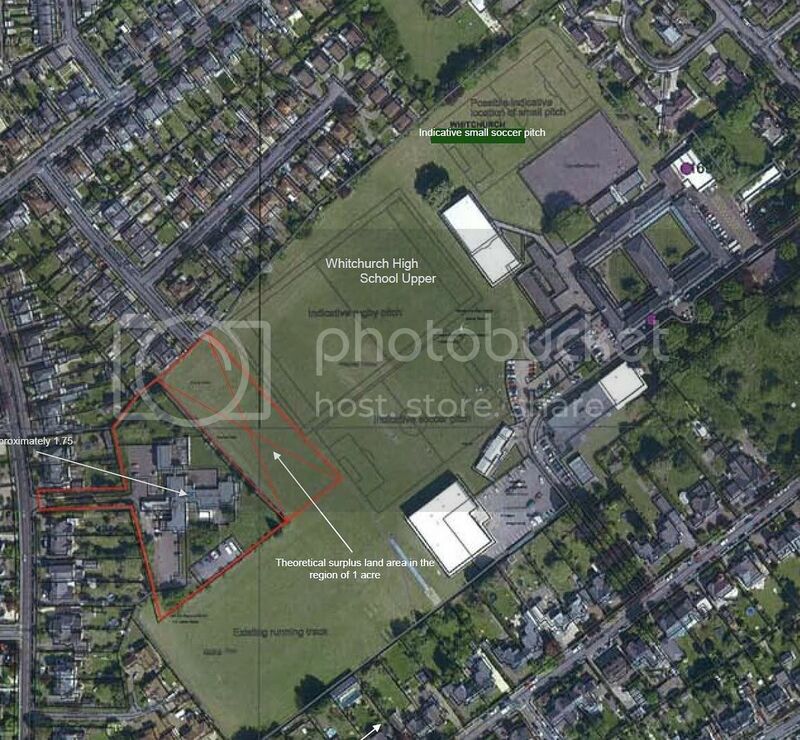 As we can see, the proposal would take some land from Whitchurch High, but not very much. However what has been drawn on the second plan is a two form entry school, and also a new community centre. If the new school were smaller, and if the community centre was somewhere else, very little land would be lost. The question now becomes what size the schools should be, which schools should be where ... and of course how the scheme contributes to the overall need to reduce surplus places in Cardiff. However in all the plans and proposals put forward there is no doubt that MG needs to become a 2FE school (420 places, plus nursery). So I think it would be best for MG to remain where it is, and for EW to move to the new Heol Don site. The inconvenience of moving would be balanced by the fact that the school would have a brand new, state of the art building which is only a few hundred yards from its present site. The tricky question is how big that new school should be. It could be a 1.5FE school, but this would be bigger than the current school. So if the aim is to reduce surplus places, then it might be better for it to be a 1FE school (210 places, plus nursery). Obviously a 1FE school will be cheaper to build and will take a little less space. But in my opinion that is a different fight which must be decided on the basis of population projections, catchment areas and a proper survey of parental wishes. What this means is that Eglwys Newydd primary can remain as it is. However, as we can see below, EN also relies on temporary accommodation. So, if the aim of the council is to reduce surplus places, this can be done by simply removing that temporary accommodation. However this is not an urgent decision for now. If population projections, catchment areas and a proper survey of parental wishes justify it, the surplus places can be removed in due course. On the other hand, if things move the other way, that temporary accommodation can be replaced by a new, purpose built block at some time in the future. Overall, the solution I have outlined will mean that surplus places can be reduced if that proves necessary. But the big advantage of what I propose is that the two English medium schools can continue without being forced together into one school. The only thing wrong with my proposal from Cardiff's point of view is that they seem to have an educational preference for larger, 2FE schools (or 2.5FE under Option 4) rather than two smaller schools. But in my opinion a 1FE school is perfectly acceptable—and having two of them retains parental choice, minimizes travel distances and, most importantly, allows both to retain the "ethos" that they have built up over the years. Yes, one school is inconvenienced by having to move, but that is compensated by the fact that they will be in a brand new building. 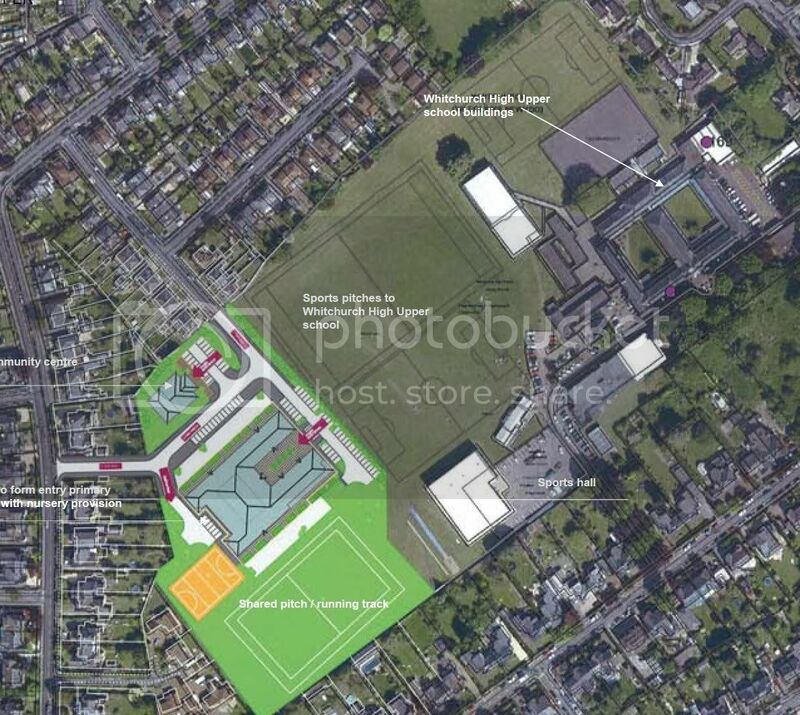 So far, I haven't mentioned the plans for Whitchurch High. My own personal opinion is that a twelve form entry school is horrendously big ... but what matters is what parents think. Cardiff's rationale for the reduction seems to be that diverting future secondary age children away from Whitchurch will help maintain the viability of other secondary schools. That is a probably a fair point. My main concern (as will be obvious from a good many of the posts I have written) is to ensure that Welsh-medium education can expand in response to parental wishes. From that perspective, I do not particularly mind if Whitchurch High's popularity makes other EM secondaries less viable. It has been a struggle to get a third WM secondary, but the way primary demand for WM education is growing, Cardiff must start looking for a fourth. My view is that plans for education must first and foremost reflect parental wishes. So if the popularity of Whitchurch High leads to a less popular EM school having to close, then that provides Cardiff with an option for the next WM secondary. Finally, the other thing that has pervaded Cardiff's thinking (with the exception of the fourth option) is that school land must be sold off in order to pay for some of the new buildings. That may be valid, but it ignores one of the hidden factors in the "surplus places" argument. As I have shown in the photographs, a good percentage of these surplus spaces is temporary accommodation, some of which is well past its intended lifespan. Temporary accommodation is just that: temporary. Cardiff is under an obligation to replace this with proper purpose-built accommodation, but in the case of EW/MG site there is so much that needs to be replaced that it might as well be built as a brand new school rather than an extension. Building something has to be done anyway. That said, I would not object to selling some land. For example the south east corner of the EW/MG site is presently occupied by two double temporary classrooms. These would no longer be needed if EW moved to Heol Don, and that corner would make a good site for new housing, as was proposed in the previous set of options. But it would make a very good site for a new community centre too ... better in fact than the one shown on the Heol Don plans and with the added advantage that it would take that much less space from Whitchurch High's grounds. As someone involved in the consultation process, your ideas are spot on. Let's hope that the Minister supports this proposal, if it is agreed by the Council. I'm pleased to hear that you think this is a good idea, Anon. But in that case, publicize it. 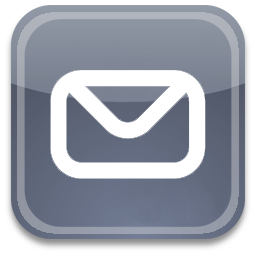 Email your friends, parents' groups, etc. with a link to this post. I'm not in any position of power, my aim is to come up with a good idea now and then ... and to explain it in terms that make some sort of sense. This doesn't really address what is likely to be the council's main objective, removing surplus EM primary places in Whitchurch. There are about 60 vacancies at the two schools, and a woppping 240 children from outside the catchment area. The council is clearly determined to close either Eglwys Wen or Eglwys Newydd in its entirety. If the chief objective of the whole scheme was to improve conditions in Melin Gruffydd they frankly could have done that years ago. Most likely outcome IMO: phased closure of Eglwys Wen and merger of the two schools on the EN site. Melin Gruffydd gets the whole site to itself. No Lyndon, what I'm proposing does allow the number of places to be reduced. But what I first want to do is get EW to accept in principle that they don't have to join with EN, and that they get a brand new school. I think that is an attractive proposition in and of itself. But the second question is what size to build the new EW at Heol Don. According to the 2009 figures on the spreadsheet, EW has 280 pupils. A 1.5FE school has 315 places and a 1 FE school has 210 places (both exclusive of nursery). The size of the new school could be anywhere between the two. If it is 210, then Cardiff will have got rid of 105 spaces (EW capacity 315). If the new school had an admission number of say 35, the school would have 245 places, saving 70. That decision needs to be made according to the three factors I mentioned. 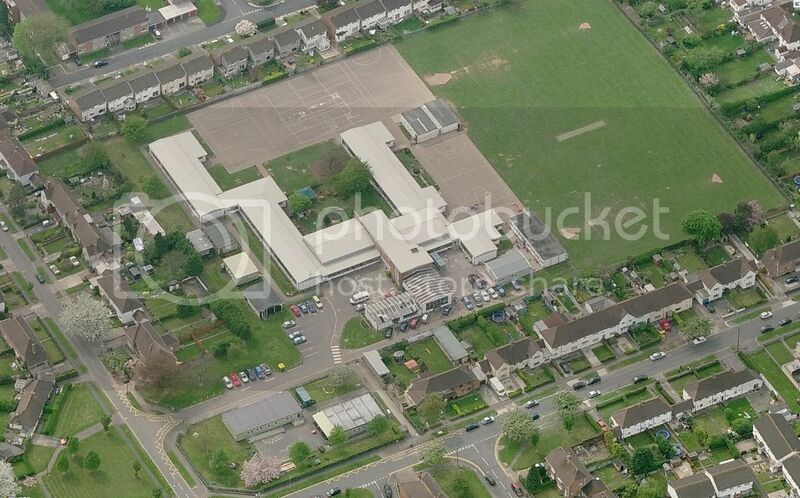 As for EN, by getting rid of what looks to me to be a double temporary classroom on the right of the picture (south) and and a single temporary classroom at the other end, Cardiff have the opportunity to get rid of maybe 50 surplus spaces. That reduces the capacity of the school from 379 to, as it happens, the current roll of 326. So between the two, there is the potential to lose a good number of surplus spaces. But the beauty of doing it as I describe is that we are not forcing two schools into one building that isn't really big enough. So there is always a good degree of flexibility. Because we don't have to build one big new school now, any surplus at EN needs only to be taken away as and when it becomes redundant. And because the two EM schools are so close together (the catchment are figures show that there is a big overlap between them) the size of the two schools will be self-balancing. Bingo. A small school on the Heol Don site would also be less 'traumatic' and less of a negative to the local residents. 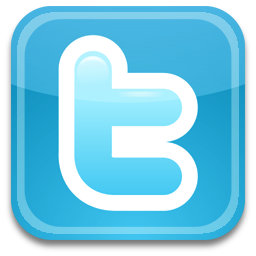 You should post your thoughts on the Destroy Whitchurch forum. 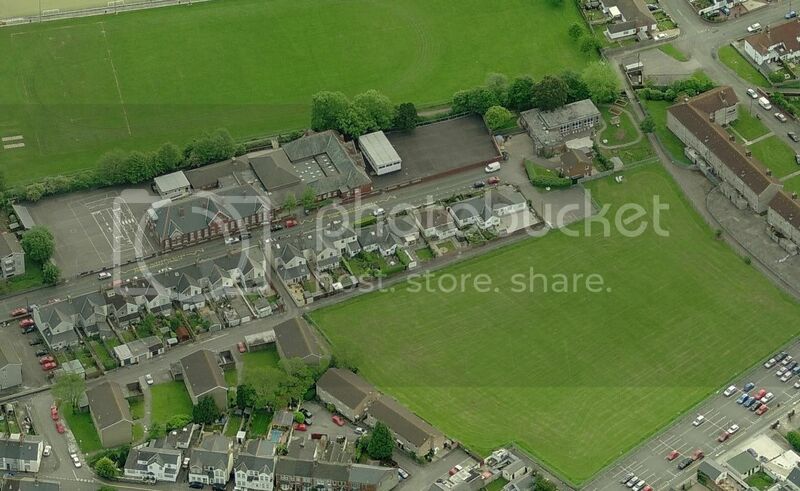 Sow the seeds..
YMG has 4 more portacabin classrooms now, extra to the ones visible in the above aerial photo. That makes 9 in all, plus nursery double portacabin. Also there are EW school and nursery portacabins on the site (the nursery is a single portacabin classroom). Please can someone from EN confirm this? Does one of the temporary buildings on your site belong to the private breakfast/afterschool club provider, and not the council, therefore meaning that the council can't just remove it? Yes You are correct one of the temp buildings a private breakfast and afterschool club provider !! What are the LibDems for? Is this a parallel I see before me?